Our Fitted Hoops and Mesh Vented PVC Covers can help you turn your superior metal raised beds into an efficient mini-greenhouse to extend the growing season and protect your crops. 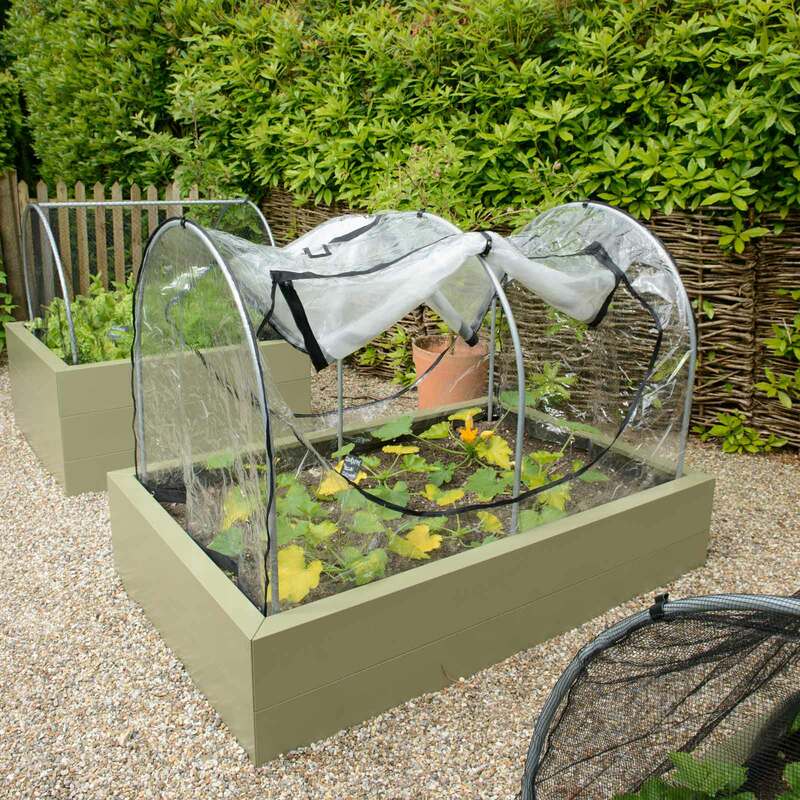 Transform your superior metal raised beds into an efficient mini-greenhouse with the minimum of effort and prolong your growing season, even ventilate summer crops without compromising on plant protection with our Fitted Hoops and Mesh Vented PVC Covers. 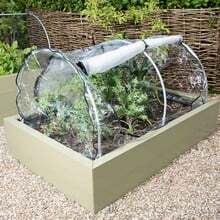 The 19mm diameter galvanised tubular steel hoops fit securely into our metal raised beds with supplied brackets and screws and give either 54cm (21") or 104cm (41") of growing height - the former for 60cm (2ft) wide beds and the greater size for 1.2m (4ft) beds and upwards. 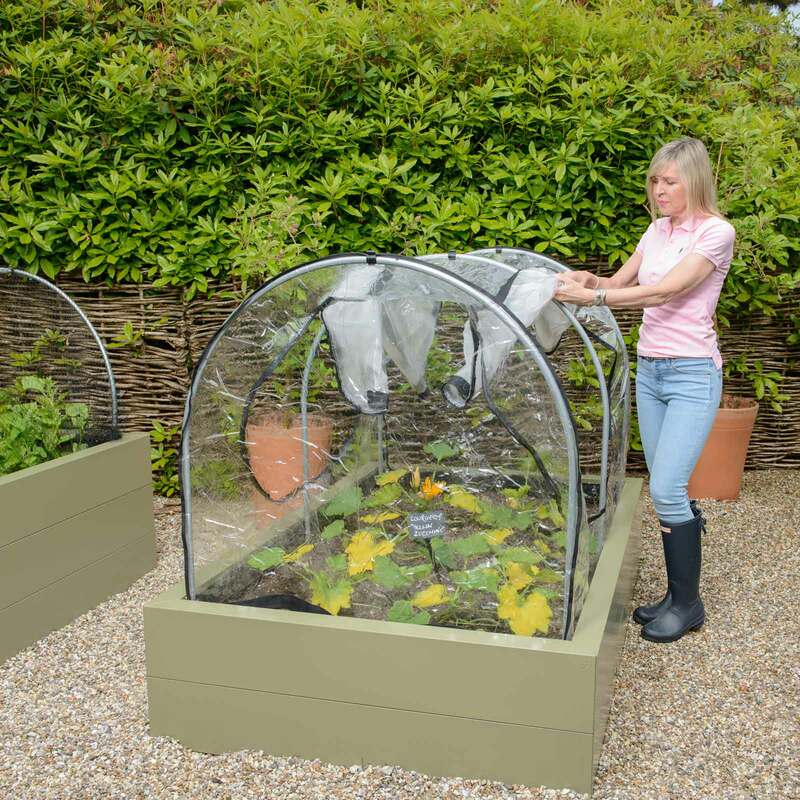 Available in six size options, the hoops firmly support the UV stabilised extra thick, heavy-duty PVC covers, complete with full-width insect-mesh ventilation for the summer months to keep pests out and let rain in. 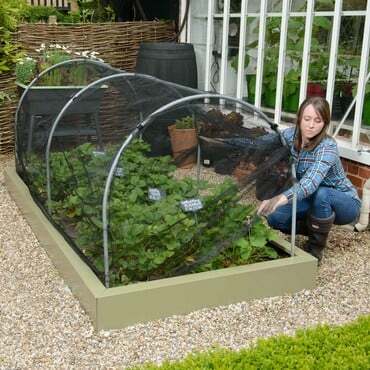 The clear PVC traps heat and shields plants from the elements to extend the growing season and access couldn't be simpler thanks to the large-zipped, dual-skinned PVC/insect mesh panels that roll up and down on both sides. 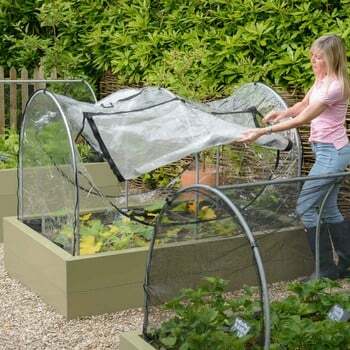 We've also got fitted butterfly net covers for complete raised bed plant protection. 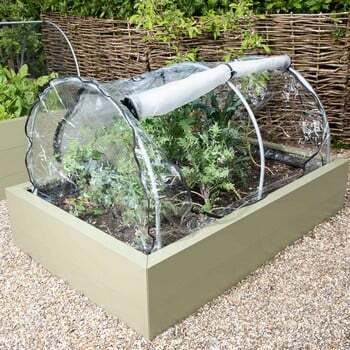 EXTRA VALUE OFFERS - buy hoops and PVC covers together for great savings! All our Hoop & Cover Kits neatly fit our range of metal raised beds, and the 2 covers - PVC/Mesh and Butterfly Netting to provide year round protection for your crops. The Butterfly Netting cover has a strong, soft and pliable 7mm knitted mesh size and will keep out the Cabbage White Butterfly and birds too. 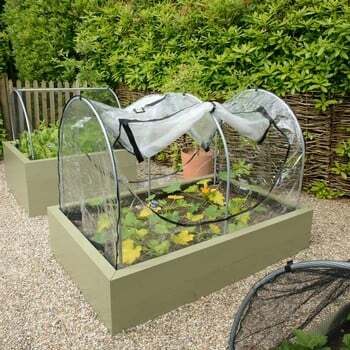 Hoop kits and covers are available separately or SAVE £££'s by buying as complete kits.